Do you love a good Pie? 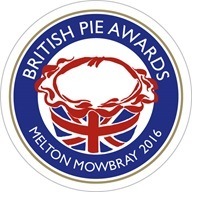 Taste of Game again sponsored the newly named Speciality Meat and Game Pie section of the British Pie Awards this year. 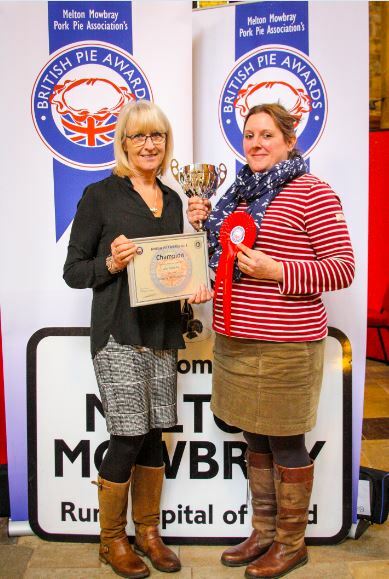 We are delighted to announce that Stanbury’s Wild Game Pies won with their mixed game pie. The winners Nel and Brian Stanbury come from Cheriton Bishop just outside Exeter in Devon. 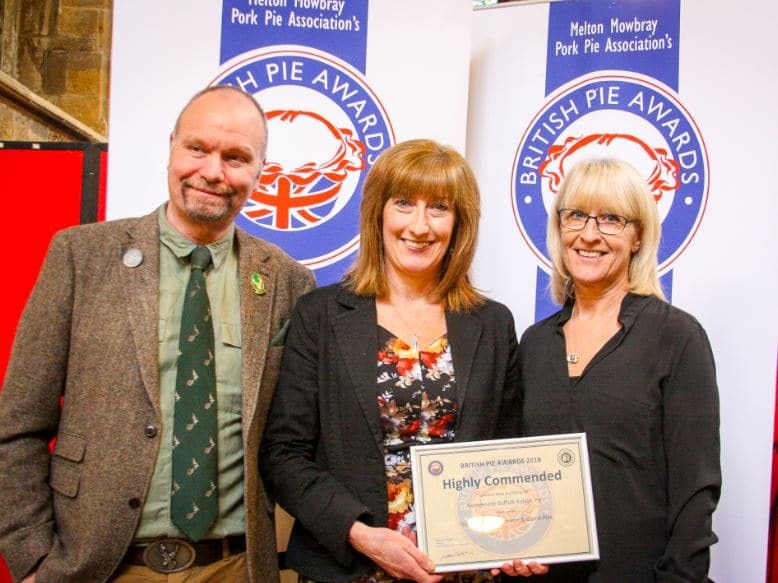 They also won 5 other awards with other game pies, a great result, this included their Wild Pheasant, Leek and Cider Pie, Wild Venison and Mushroom Pie and Wild Rabbit and Squirrel Pie which were awarded Silver, their Wild Rabbit, Leek and Prune Pie and Wild Venison Mince, Ale and Onion Pie were award Bronze. Stanbury’s pies are made on the edge of Dartmoor in the beautiful Devon countryside using locally sourced Wild Game from their own family Game Meat Business. Lynn and Steve Tricker were born and bred in Suffolk, they create handmade pies and sausage rolls in small batches at home from their own venison and other game. Wherever possible they use local ingredients to add to the recipes. They sell our products frozen, uncooked which gives the customer the flexibility to cook as many as they require at a time for deli/coffee shop or pub/café sales, they can also be supplied packaged individually to sell in farm shop/butchers freezers as a cook at home product. When attending events such as Snape Farmer’s Market or Food Fairs, they sell their products both cooked or frozen direct to the public. Maca lived in Provence in the south of France for around 3 years cooking for some local people as well as some ex-pats, found his leash for baking great pies. They now live near Borehamwood. Plenty! Pies was set up by Marc and Kate Birch in November 2010. We live in Nailsworth in Gloucestershire and make the pies in their bakery in Nailsworth. Details of the winner can be downloaded here. Find a great pie in your area.